Walden Pond is the centerpiece of Thoreau’s Walden Woods and is the focus of Thoreau’s most famous piece: Walden. It is owned and managed by the Massachusetts Department of Conservation and Recreation, and sees nearly 600,000 visitors every year. An exceptionally deep and remarkably clear kettle lake, Walden still inspires the conservation ethic that Thoreau first articulated in his writings. 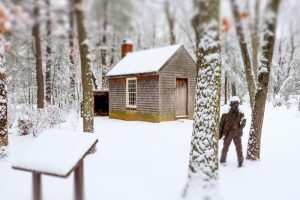 The writer, transcendentalist, and philosopher, Henry David Thoreau, lived on the shores of Walden Pond for two years, two months, and two days, starting on the Fourth of July in 1845. During his stay, he kept a journal chronicling everything he witnessed and learned from nature. 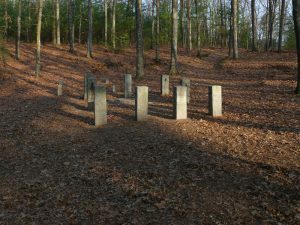 His experience at Walden Pond provided the material for his book, Walden; or, Life in the Woods, which is credited with helping to inspire awareness and respect for the natural environment. His writings also prompted people to revere their own “place” as special, rather than being concerned only with far-off grandeur. 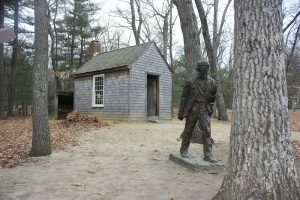 Walden Pond was designated a National Historic Landmark because of Thoreau’s legacy, and is considered the birthplace of the modern conservation movement. 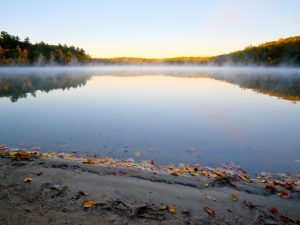 Walden Pond State Reservation is owned and managed by the Massachusetts Department of Conservation and Recreation, and includes 462 acres of protected open space. Over 600,000 visitors per year come from near and far to experience this beautiful and serene place that inspired Thoreau so long ago. 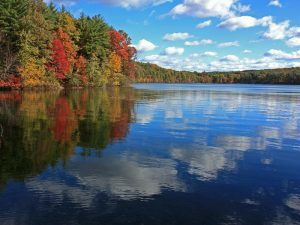 In the 1980’s the Department of Conservation and Recreation invested a considerable amount of resources in restoring Walden Pond closer to its original condition. In the summer, the Pond serves as a popular swimming destination. During other seasons, Walden Pond is frequented by people who come to fish, canoe, hike and cross country ski. 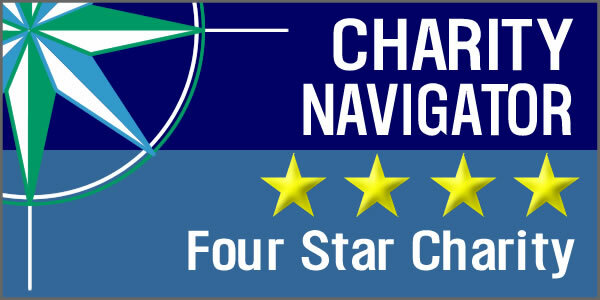 Walden Pond is most easily accessed from the Walden Pond State Reservation parking lot. The trails near Walden Pond may be impassible in the winter due to ice and snow. During spring, summer, and fall, poison ivy may be present on or near the trails. Check for ticks year round with extra consideration in the spring and fall when ticks are most prevalent. 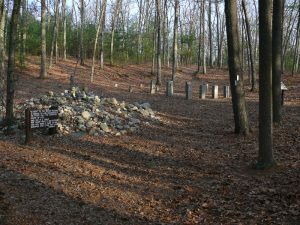 There are no fees associated with accessing Walden Pond. A fee exists for parking in the Walden Pond State Reservation parking lot.